With more than 35 years of experience in software development and systems design, Michael Wallace is regionally recognized as an expert in helping teams and organizations create solutions that best support their business needs. 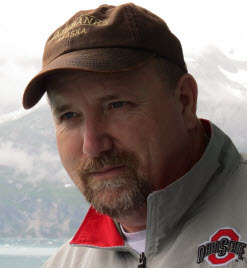 With degrees in Management Science (BS - Wright State University) and Business Administration (MBA - The Ohio State University), he has worked with organizations both large and small as an application developer, systems engineer, business analyst, and a technical and business consultant. He has also worked with the State of Ohio in developing statewide information technology (IT) policies. After working as a practice manager and director for the last few years, Mr. Wallace is now an Agile Coach at a Tier 1 global bank, helping the organization build high performance software development teams. He has also taught in the graduate programs at The Ohio State University and DeVry University Keller Graduate School of Management and has published several articles and books on business and technology topics. IT Governance: Policies & Procedures, 2019 Edition is the premier decision-making reference to help you to devise an information systems policy and procedure program uniquely tailored to the needs of your organization.